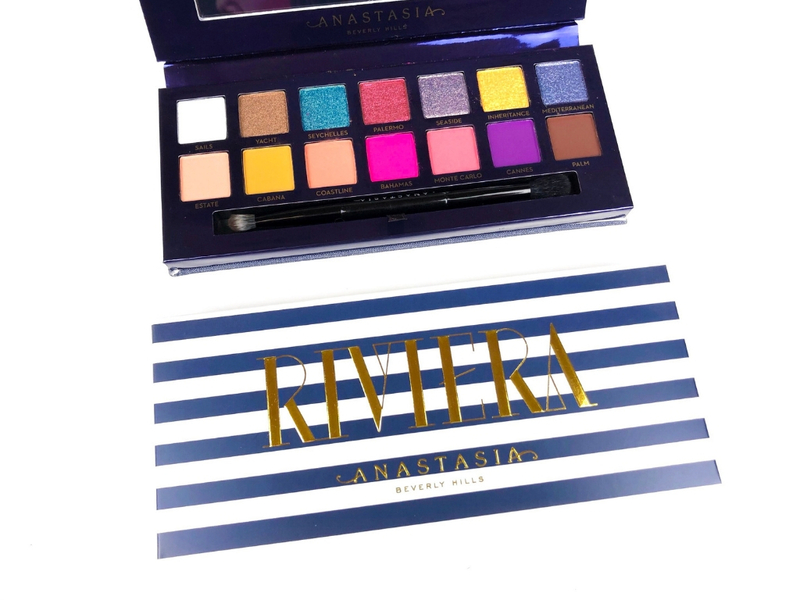 In today’s review, I’m going to talk about the Anastasia Beverly Hills Riviera Palette. I’m not a bold colour type of girl. Actually, I don’t really like colours on me, but it’s also true that last time I played with actual colours, I was 15 and my make up skills weren’t as good as they are now. 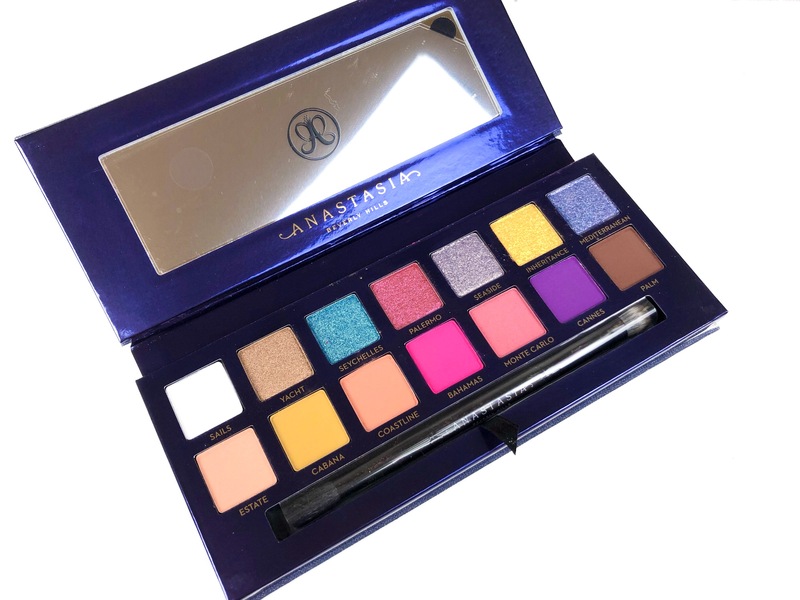 When this eyeshadow palette came out a couple of weeks ago, I got really excited about it. I can’t wait to create more looks with it, especially over the summer. 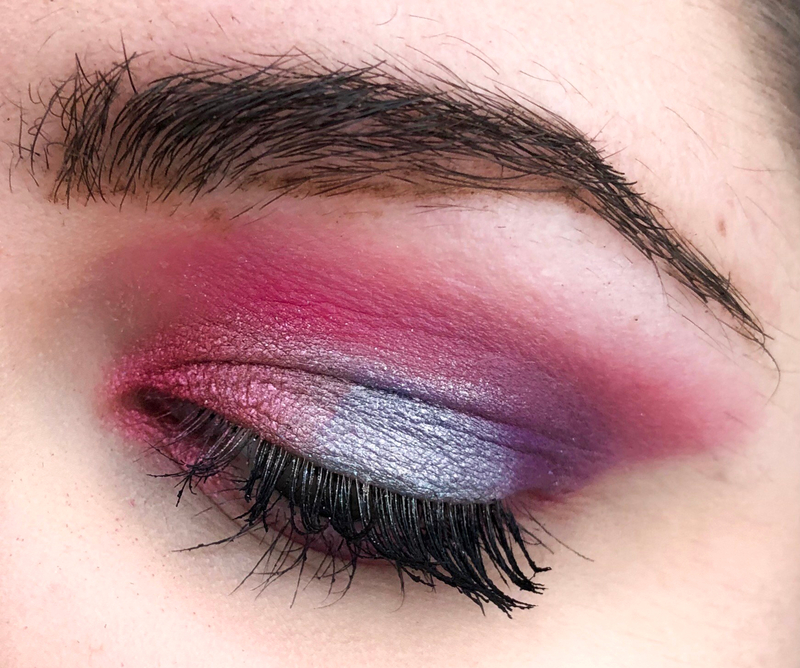 I really want to create fun looks that prove you don’t have to look like a clown when you use pigmented eyeshadow colours. 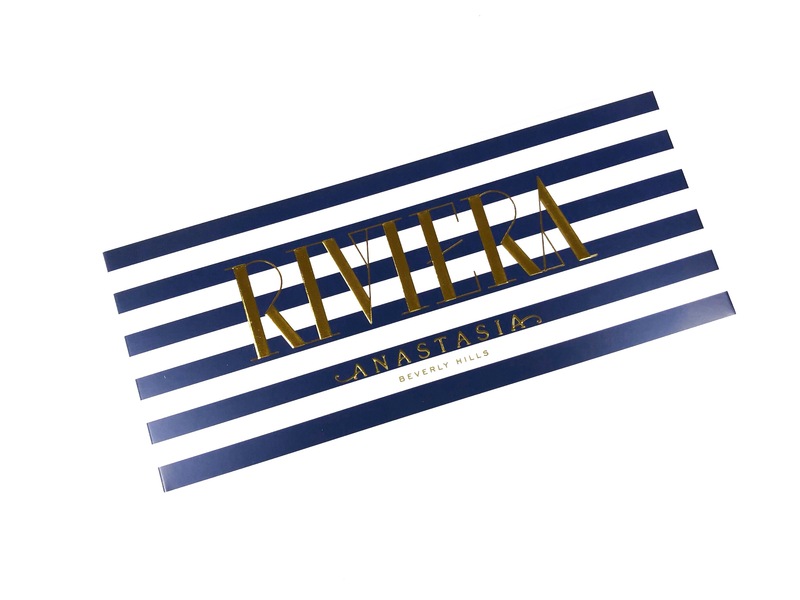 I really like the striped design on the packaging. Both the cardboard box and the palette itself have this very summery print. The palette is made of some sort of denim material, which looks super elaborate, but it gets dirty in seconds so be aware of that. 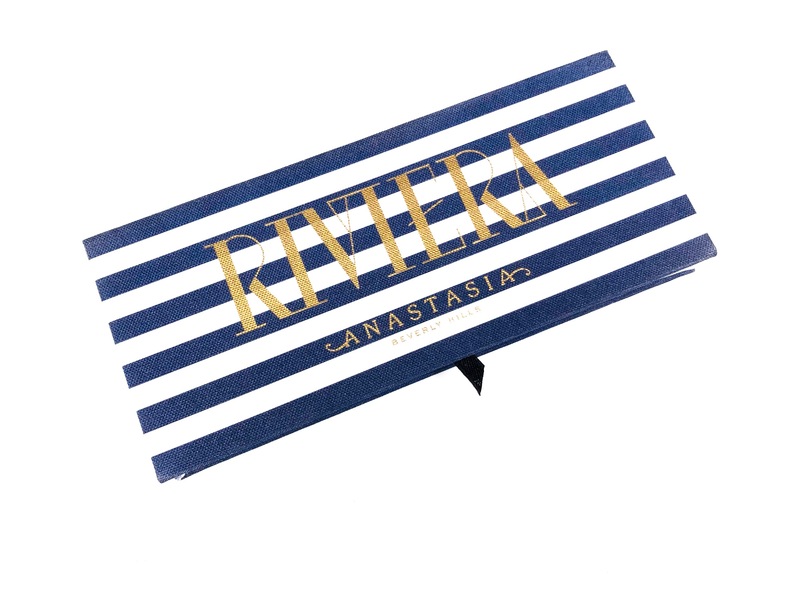 The Riviera eyeshadow palette has a mirror on the inside. It also comes with a double ended brush, which is okay. Honestly, I don’t like the blending side; it’s too scratchy for me but it’s a nice added touch. The top row of eyeshadow is all shimmer, whereas the bottom one is all matte, apart from Sails which is matte and Monte Carlo which is more of a satin. 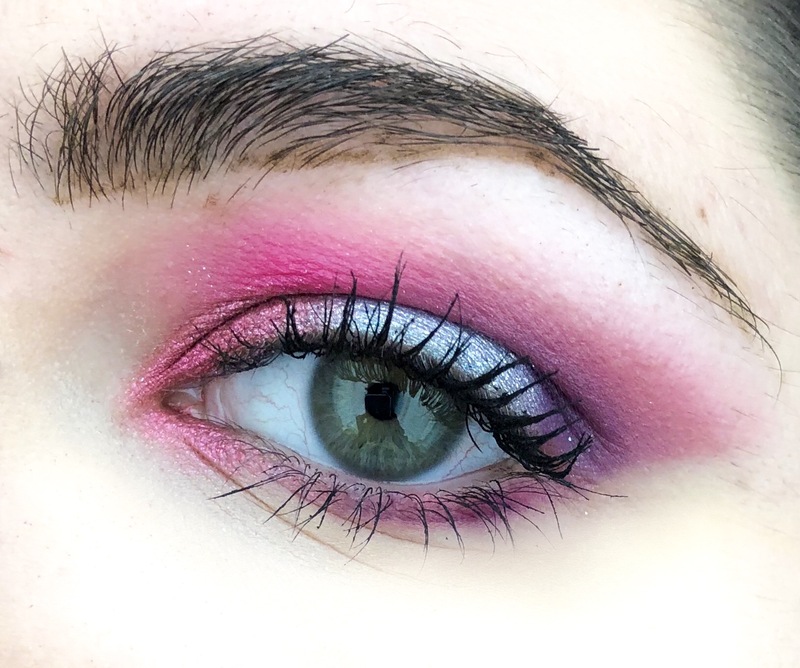 I find the mattes are a really good base for any look. They are incredibly buttery and they blend like a DREAM. 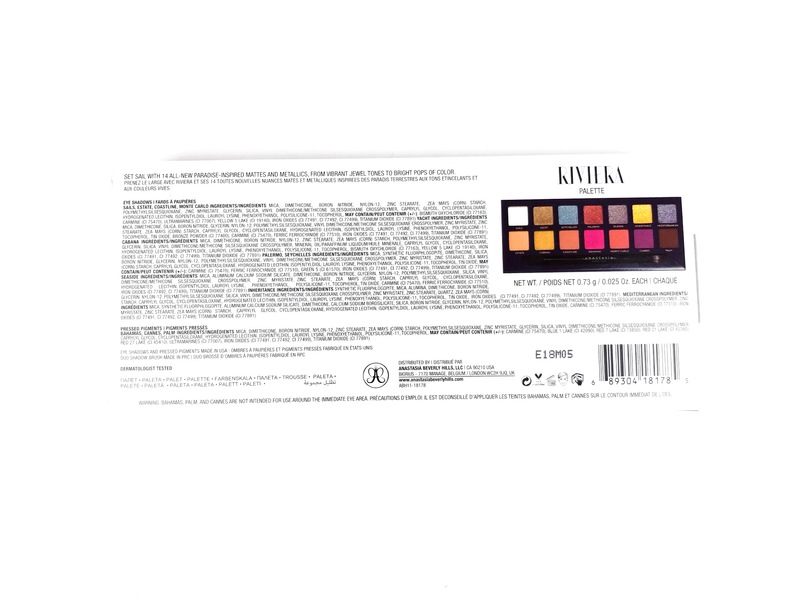 The shimmers are so UNIQUE, and all the shades are richly pigmented and super buttery. Like every other Anastasia eyeshadow, all of them are quite soft which makes them a bit dusty and powdery, but I find these ones to be not as powdery as the usual formula. Honestly, that doesn’t bother me at all as long as the shadows perform well, which of course is the case with these. 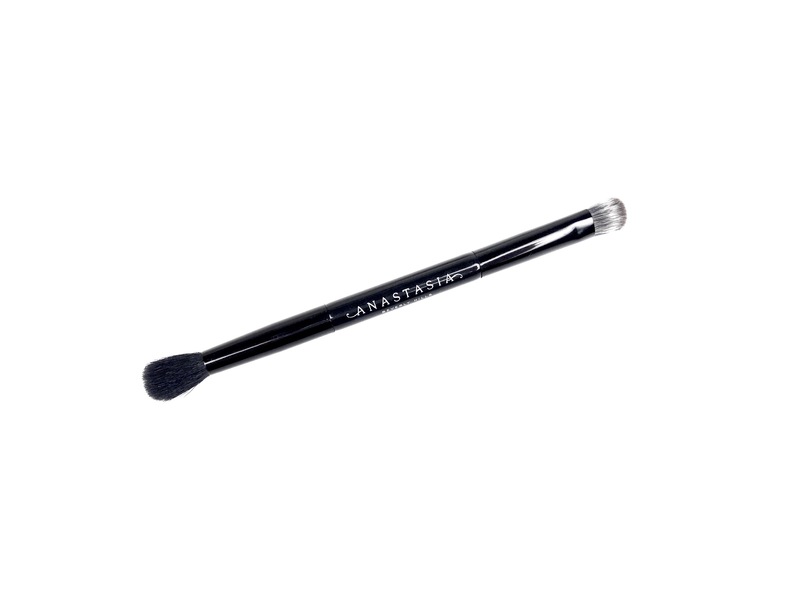 Since they are dusty, make sure you don’t swirl your brush around them too much and make sure to tap off any excess. The pigment is still going to fall a little on the cheeks, so a good tip would be to do your eyes first and then the base. 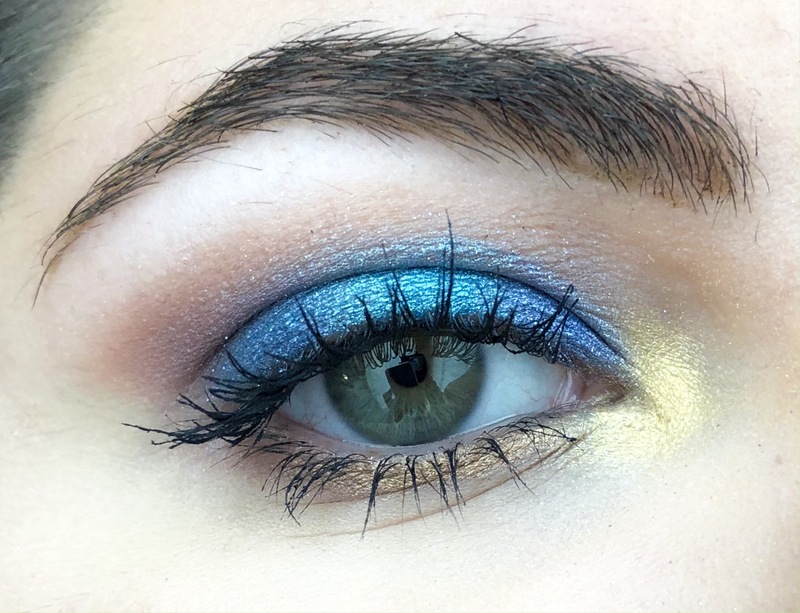 I used: Monte Carlo and Bahamas in the crease, Palermo in the inner corner, Seaside in the centre and Cannes in the outer corner. On the browbone, I used Sails and on the lower lashline, I used Monte Carlo and Cannes. I used: Estate, Coastline and Palm in the crease. 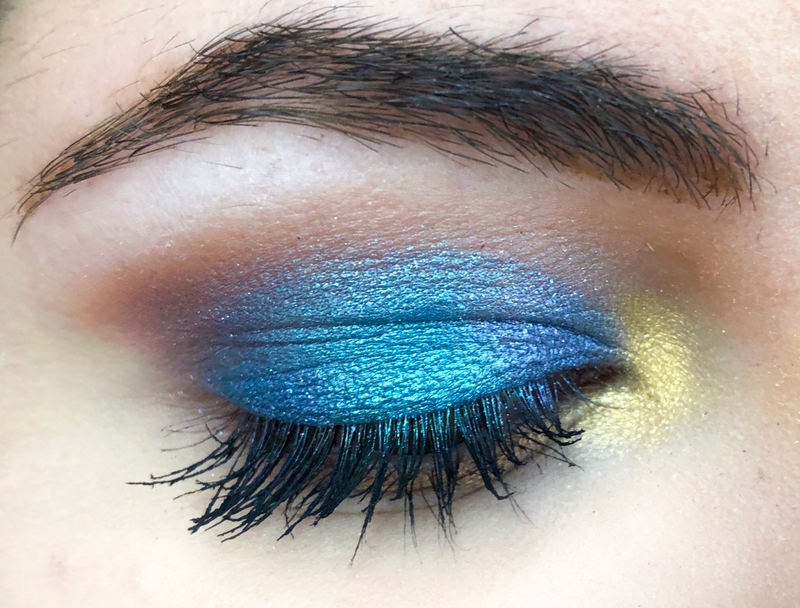 In the inner and outer corner I used Mediterranean and in the centre of the lid, I put Seychelles. In the tear duct I’ve used Inheritance and on the lower lashline, I used Yacht. With a primer, these eyeshadows last about 8 hours before fading, but I don’t tend to wear make up for longer than that anyway.